The purpose of the Identity Theft Red Flag and Security Incident Reporting Procedure is to provide information to assist individuals in 1) detecting, preventing, and mitigating identity theft in connection with the opening of a “covered account” or any existing “covered account” or who believe that a security incident has occurred and 2) reporting a security incident. A data security incident that results in unauthorized access to a customer’s account record or a notice that a customer has provided information related to a covered account to someone fraudulently claiming to represent CSUN or to a fraudulent website may heighten the risk of identity theft and should be considered Red Flags. Any employee who believes that a security incident has occurred must immediately notify their appropriate administrator and the campus Information Security Officer. The campus incident response standard will be followed to address each incident in an appropriate manner. Submit a Security Incident Report to report an incident. CSUN remains responsible for compliance with the Red Flag Rules even if it outsources operations to a third party service provider. The written agreement between the university and the third party service provider shall require the third party to have reasonable policies and procedures designed to detect relevant Red Flags that may arise in the performance of their service provider’s activities. The written agreement must also indicate whether the service provider is responsible for notifying only CSUN if a Red Flag is detected or if the service provider is responsible for implementing appropriate steps to prevent or mitigated identify theft. Identity theft is the illegal use of another's personal information, such as credit card numbers, Social Security number, or driver's license number, to commit fraud or other crimes. The more difficult you make it to steal your information the harder it is for the suspect to make you a victim. If you suspect that your identity or bank accounts have been tampered with contact your local law enforcement agency and credit/banking institution immediately. The longer you wait-the more damage can be done. Immediately close any/all accounts you believe to be fraudulent. Immediately place a fraud alert on your accounts with fraudulent activity AND with all three credit reporting agencies (see below for reporting agencies information). Make a police report with the law enforcement agency in the city that you live in (or where the incident occurred if possible). To learn more, visit the Department of Police Service's Identity Theft page. 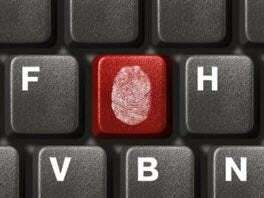 Red Flag - A pattern, practice or specific activity that indicates the possible existence of identity theft. Security Incident - A collection of related activities or events which provide evidence that personal information could have been acquired by an unauthorized person. All employees who process any information related to a covered account shall receive training following appointment on the procedures outlined in this document. Refresher training may be provided annually. Visit the Security Awareness page for more information.